I’ve never been especially flexible. I remember being six years old in gymnastics and feeling this unfamiliar mix of envy and disbelief when the other girls in my group could practically wrap their legs behind their heads, while I struggled to get mine beyond a 90-degree angle. Since, not surprisingly, my days in gymnastics were numbered, I went through the rest of my childhood and much of my adult life blissfully unfazed by my lack of flexibility – until I started to run. Almost overnight, my calves were always tight and often had knots. It wasn’t unusual for my hips to feel achy and stiff. My feet and Achilles would often complain. Running basically rendered me a coiled spring from the waist down and while warming up, stretching and rolling helped, most of the time, my body felt approximately 50 years older than my actual age. I had tried yoga on and off and liked it well enough, but it didn’t have any noticeable impact on my general creakiness. 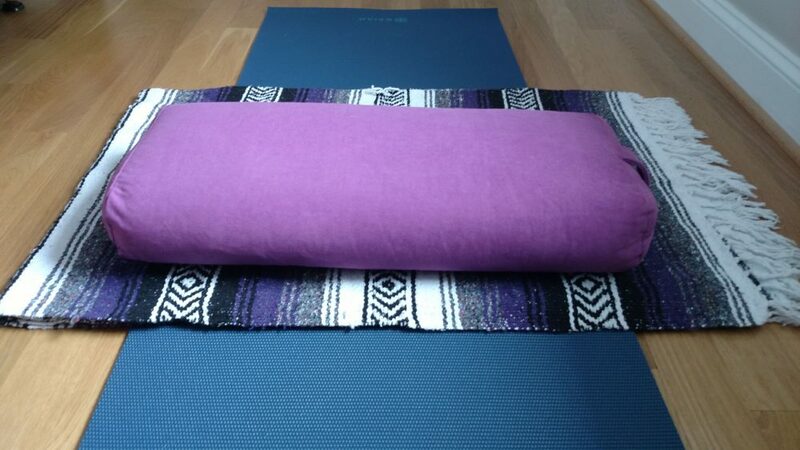 Then one day last winter, on a whim, I tried yin yoga and my body’s been in a much happier place ever since. When most people think of yoga, they think of yang (active) yoga. That’s the flowy, up and down yoga that works and builds strength in our muscles. Yin yoga, on the other hand, affects the deeper connective tissues — your ligaments, tendons, fascia and joints. It’s a slow yoga, where you hold the poses, or asanas, at the edge or your comfort level, for 3-5 minutes or longer, while relaxing your muscles. This slowly and gently stresses the deeper tissues, and over time, can make them longer and stronger, increasing overall flexibility and joint mobility. Yin yoga activates the parasympathetic (rest and digest) nervous system, so though it can be challenging, it’s also quite relaxing and cooling and a great balancing activity for the yang of running and busy lives in general. So, can I wrap my legs together behind my head now? Um, definitely not. Am I never tight? Unfortunately, that’s not the case either. But I’m certainly more flexible and experiencing less tightness after running than I was a year ago, and am glad to have another helpful tool in my recovery tool belt. Heck, if I keep this up, maybe I’ll look into adult gymnastics classes. Just kidding. If my ramblings have piqued your interest, and you’d like to learn more about yin yoga, there are several yoga studios in and around Frederick that offer classes. The Complete Guide to Yin Yoga, by Bernie Clark is an excellent resource, too.